When it comes to clothing, we are all familiar with the top notch quality that Adidas has to offer. 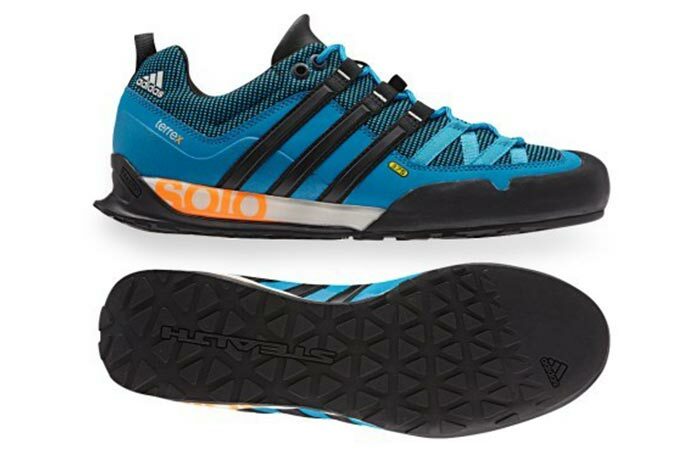 However, our eyes fell upon a shoe that immediately drew our attention and that shoe is the Adidas Terrex Solo Stealth Shoe. Available in a variety of colors and outfitted with various technologies to give you optimal comfort, you can’t go wrong with the Adidas Stealth. Apart from looking awesome, the true beauty of these shoes lay in the technologies that have been embedded into the sole. 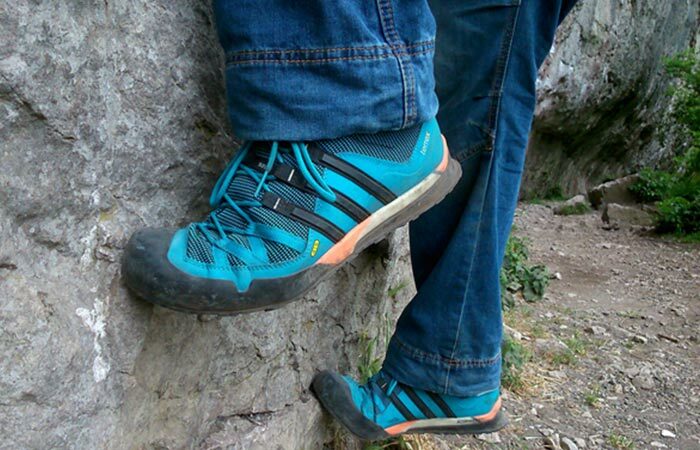 At first glance, the Adidas Stealth looks like a hybridization between a running shoe, a sneaker and a climbing shoe. Even though this does have a modern and, yet, classic look to it, it wasn’t what arrested our attention. What immediately grasped us was the technologies that were embedded into the soles. The outsole was designed to be approach specific and features a climbing zone that allows for optimal durability and traction while still providing comfort. The entire outsole also features Traxion technology that provides maximum grip with no pressure points which ultimately adds to the comfort that this shoe has to offer. Check out the video below. The midsole also has tech built into it for foot protection and comfort. Like the Adiprene insert that allows for excellent shock absorption and cushioning. However, taking it a step further, Adidas incorporated a protection plate that offers excellent impact protection and forefoot stability, be it that you’re walking, running or climbing. The top of the shoe is constructed out of high abrasion mesh that allows for excellent breathability as well as phenomenal wear and tear. It should also come as no surprise that this shoe got 4 out of 5 stars out of 103 reviews on Amazon.